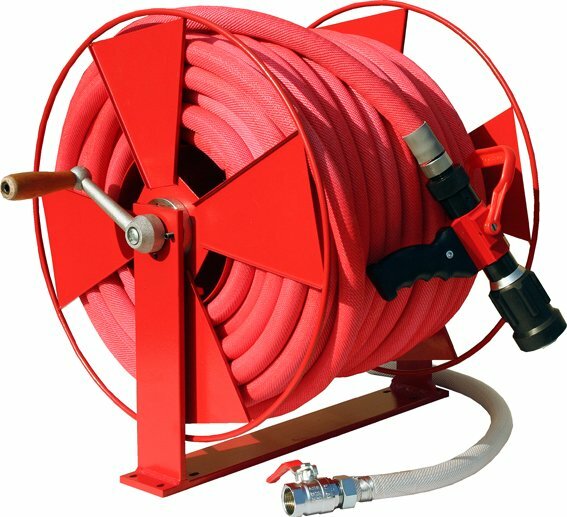 This hose reel is designed to be mounted on fire engines, but can be installed elsewhere. It can be fitted to the floor, wall and ceiling. 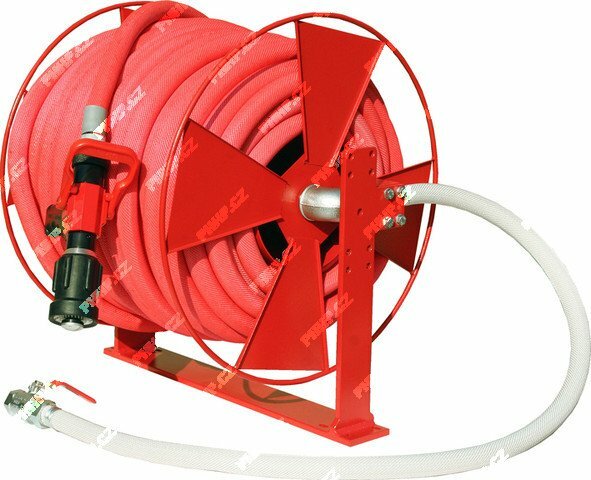 The hose reel is avery effective means of fire fighting. 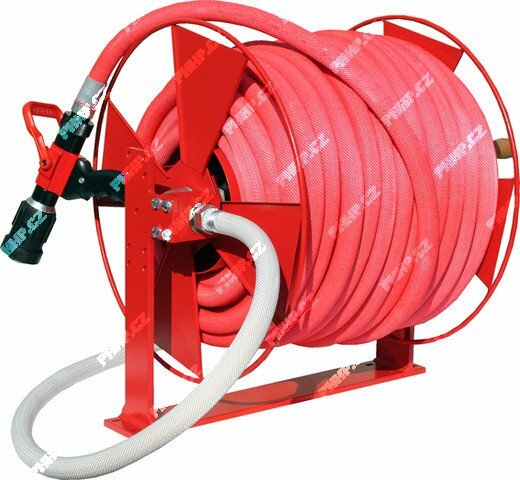 It features D-25 semi-rigid hose coated with abrasion-resistant polyurethane-based layer. As standard, the hose is fitted with the Tajfun-Profi Dnozzle which can smoothly change the stream pattern from full jet to spray or even to afog screen, and to shut off the nozzle. The nozzle can be equipped with asolid wetting agent cartridge to make effective use of the extinguishing agent when fighting car or flat fires, extinguishing dusty agents, etc.